Trysts. Young lovers. Parents who want to get away. "Love Hotels" offer short stays and some truly off-the-wall rooms. Love Hotels, or "rabuho" (ラブホ) for short, began in Osaka during the late 1960s. 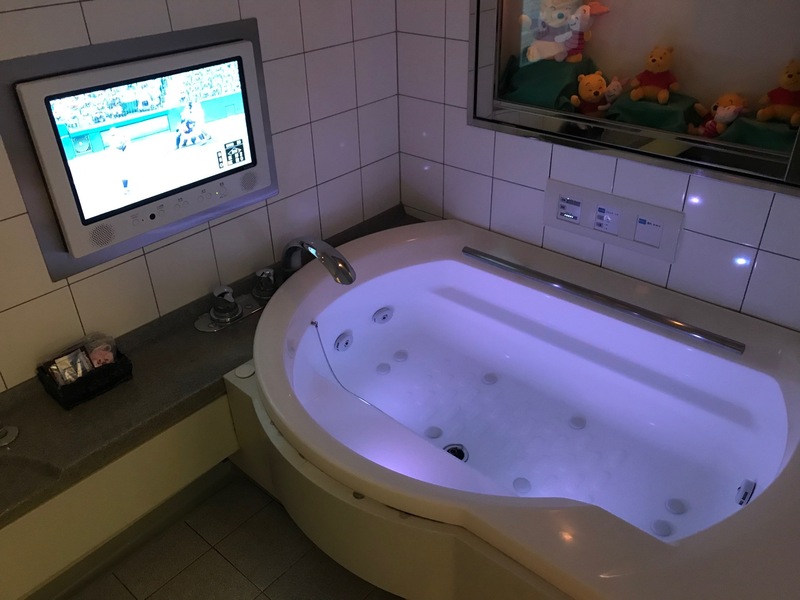 Japan's version of the "no-tell motel", they became big business, and even Nintendo president Hiroshi Yamauchi opened one. At that time, the local Japanese press noted, "The only benefit Yamauchi might have derived from this is that he and his partners don't need to pay for the rooms, and that might in the end constitute a substantial saving." But as more and more hotels popped up during the 1970s and 1980s, the need to stand out became increasingly important. Many love hotels have rooms that somewhat resemble normal hotel rooms—they might even be larger than your typical Japanese hotel's. If you are ever in Japan, love hotels are worth checking out, if only because you can sometimes find a larger room at a cheaper price. While generally safe, just don't forget that all sorts of things go on in love hotels: some legal, some not. Outside, love hotels are gaudy and showy. There's usually nothing subtle about these establishments. Often, they're themed and have foreign-sounding names. But not always. They're supposed to transport you to another world, even if that world is utterly silly. Some of them even look like castles. However, there are some truly unusual love hotels offering amenities that even surprise people in Japan. How about a room with a Japanese bridge in it? You might love this car. Just don't love this car. And if you get bored, there's a slot machine to pass the time. Or maybe this kind of car bed is more your speed. You're on a boat. Sorta. Groovy, baby! But rotating beds have been around for donkey's yonks. Ever since the Famicom days, video game consoles have been available in love hotels. They're fairly common. But, as Kotaku previously posted, DDR machines? That's highly unusual. Just hope "Under the Sea" isn't piped in through the stereo. Everything tacky about the 1980s distilled into a single room. Kinda wish space stations looked like this. Here's a cosmos-themed room for bashful types. Staying in shape is important, even for Victorians. I guess? There's nothing sexier than your local pub. All rooms are equipped with baths—some of them quite large. Here, Disney characters can watch and judge you silently. For when things get Roman. Having a BBQ is probably prohibited. Other things are probably okay. This love hotel has a water slide. And who the hell doesn't love water slides?! You can learn more about love hotels in this Nippon.com article written by Ikkyon Kim of Kobe Gakuin University. The lead image in this story comes courtesy of Nippon.com.